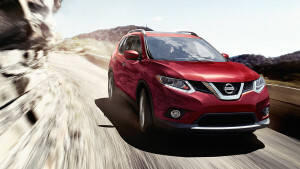 True, the 2016 Nissan Rogue is distinguished along a number of axes. It promises, on the one hand, unsurpassable power, with a mighty drivetrain and a comprehensive assemblage of driver assist programs, as well. On the other hand, it also gives drivers from Indiana a selection of some of the latest—and most exciting—technology devices on the market. Yet the Rogue is also designed with safety in mind, coming embedded with safety systems and devices like Forward Collision Warning, a Blind Spot Warning, Moving Object Detection, a Tire Pressure Monitor System, and a collection of powerful airbags. Let’s get some of the details. 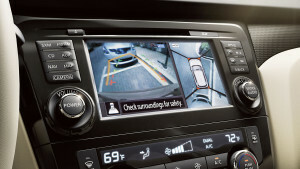 With Forward Collision Warning, the Rogue is able to sense impending collisions and then use a series of visual and audible signals to alert you to the threat, allowing you to avert a collision. Blind Spot Warning lets the Rogue monitor your blind spots and indicate to you when a vehicle threatens you without your knowledge. This service enables the Rogue to survey the area around you and report back to you on objects in your vicinity, making it possible for you to avoid collisions and other pitfalls more easily. This system allows you to monitor the status of your tires while never even leaving the comfort of the cabin. Trust in the Easy-Fill Tire Alert to let you know when you need to visit a pump. Finally, the Rogue gives you a comprehensive collection of airbags to help ensure your own and your passengers protection next time you’re on the road, whether on a long drive or a short one. Indiana drivers can explore the safety specs of the 2016 Nissan Rogue themselves simply by stopping by our Sorg Nissan dealership today and taking the Rogue out for a test drive. Find us at 2845 Detroit Street in Warsaw, contact us online, or give us a call anytime at 574-267-5850. Don’t miss the opportunity to see just how far the Rogue excels beyond the rest of the pack when it comes to offering a safe, secure, protected drive.